• You can stock up on seed at the best price of the year - no limit. • All booked seed is new crop fresh and clean. • Get 20% off on complete line of birding supplies including feeders, birdbaths, pole systems, baffles, birdbath heaters, cleaning supplies and accessories (excluding mealworms and bluebird houses). 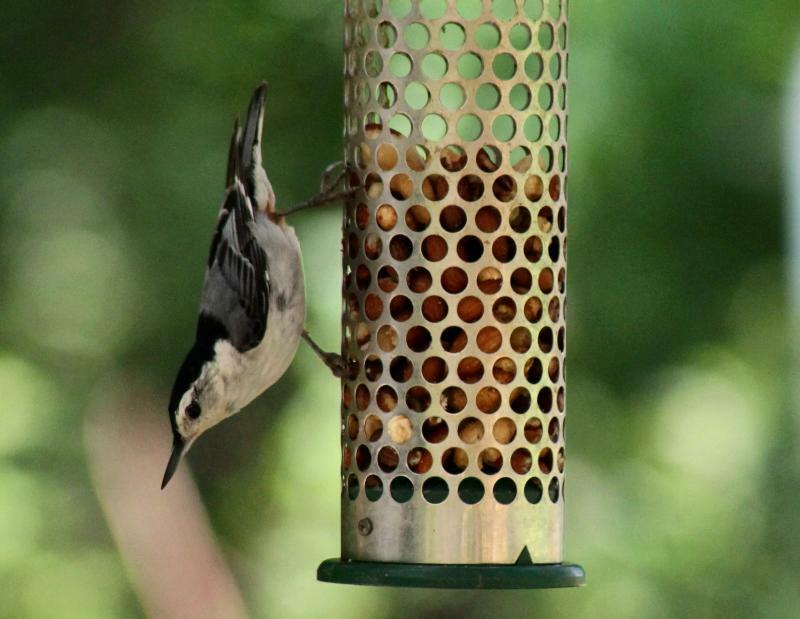 • All in-stock seed and suet is 15% off. • They are packaged in barrier bags (5 # - 40# by Coles) which keeps them fresh and bug-free. Seeds are very pure and clean. • Not available in big box stores. • Now is the best time to buy to take advantage of the year’s best prices and freshest seed. 1. Provide water and add a de-icer to birdbaths in the winter. 2. Clean out birdhouses for roosting or set up a new house for them. 3. Create brush piles from fall clippings for safe ground cover. 4. Plant evergreens for the perfect cover near feeders and birdbaths. 5. Increase number of feeders. More feeders and food choices = greater number and variety of birds. Blue Ribbon Blend - Formulated to attract the greatest variety and number of birds. A traditional mix done right. Blazing Hot Blend - A traditional blend of highly desired seeds made even more appealing by adding hot Habanero chilies. Beautiful songbirds will go crazy for this super spicy taste but send your squirrels running for water! Raw Peanuts - Favorite of woodpeckers, nuthatches and titmice. High in essential fats and protein. Hot Meats - Nutritious sunflower meats infused with hot chilies. Birds love it – squirrels hate it!